The advent of drones has changed aerial video production forever. It’s almost impossible to watch a movie, television series or news coverage and not see drone shots. And that’s a good thing. They offer a unique perspective, one that can’t be obtained any other way. The downside is there are fewer helicopter rides for the camera crew. There is nothing that compares to flying in a helicopter with the door off, sitting sideways with your feet on a t-bar and watching the world rush by in a blur. 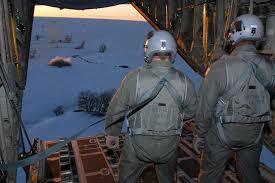 My first helicopter experience was with the National Guard in Kansas ferrying hay to cattle stranded by the most intense blizzard in 30 years. And while the video was not as silky smooth as we get today with drones, it carried with it a lot more adrenaline. There were flights over castles in Portugal and off the stormy deck of an aircraft carrier, but the most thrilling ride was in Hawaii with the crew from Magnum P.I. That 80’s TV show followed the adventures of Tom Selleck’s crime-solving character. But it also included a couple of partners, one of whom was a former Vietnam war pilot. The helicopter scenes in the TV series were always amazing as the Hughes 500 became another character. While shooting on Oahu we had the opportunity to fly with the show’s team and as it turned out the pilot was former Air Cavalry and had served in Vietnam. I sat behind him with the door off facing sideways, shooting handheld and framing wide to minimize movement in the video. The one hour flight was a blur of screaming across the Pacific a few feet off the water, lurching skyward occasionally to reveal a lighthouse and then dropping sickeningly fast to capture surfers carving their way down perfect waves. And you can get a similar experience as an exact replica of the Magnum P.I. 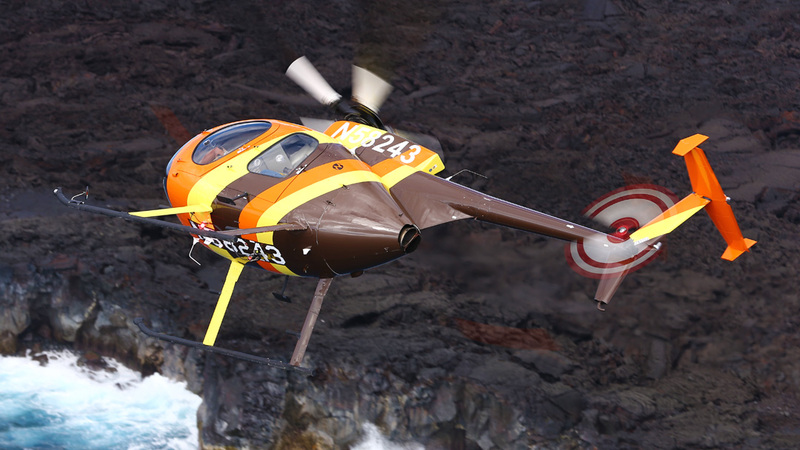 Hughes 500 is now operating in Hawaii, courtesy of Paradise Copters. That’s just not an experience you get from operating a drone. But you also don’t get the price tag that comes with shooting from a helicopter. So regardless of budget there’s a way to include aerial video production services in your next project. Whether you need a digital cinema camera nose mounted on a real helicopter or quad copter drone Solana Productions should be your first call, especially if the shoot requires circling an Hawaiian island!